I don't know about you, but I am quite excited (more than usual) for the weekend ahead! John and I have been so busy, and his mom was in town last weekend, so we have quite a bit of "life" (i.e. laundry) to catch up on. I feel like I can always wash and dry my laundry, but I never quite get it fully put away... then I rewash it all and repeat the cycle, ya hear? ANYWAY, linking up with Christina, Karly, and Amanda to celebrate Friday! Has anyone used Poshmark to sell their clothes? I'm really intrigued by the whole thing (especially considering they pay for your shipping)... if you've done it before, please share the deets with me! Before moving to Arizona, I had no idea that citrus grew here... but there are actually citrus trees everywhere! On the side of the road there will be grocery bags full of lemons for $1... but since that seems kind of sketchy, John and I decided that we were going to go citrus picking this weekend! If you have any fun citrus recipes, let me know because you can buy 40lbs of citrus for only $20, ha! Okay, I have to ask... who has been watching The Bachelor? Team Whitney or Becca? 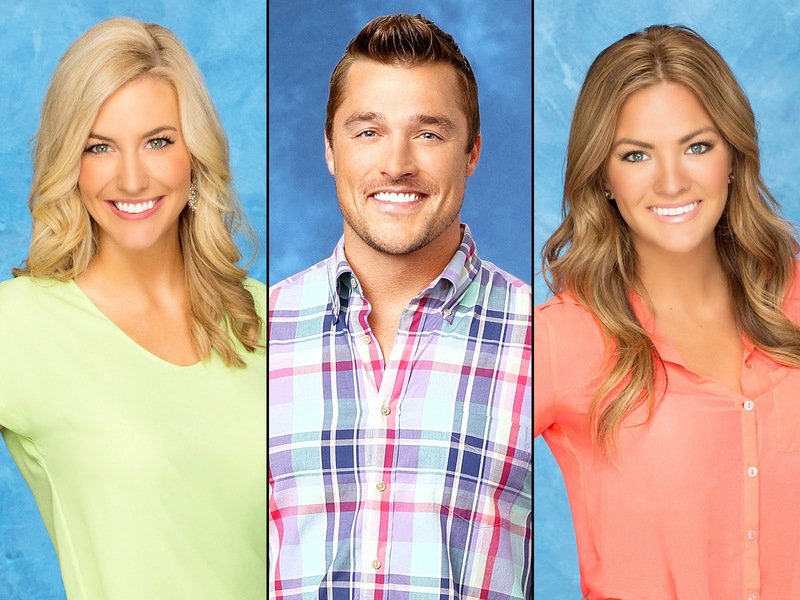 Honestly, I really like both, but I think Whitney would make an amazing Bachelorette, so I'm kind of hoping for Chris to pick Becca. I'm looking forward to watching! It's official, and there is no convincing me otherwise... I have the cutest puppy in the world! Does anyone else have trouble making it to work on time because their puppy is just way too cuddly lookin' in the morning?! The idea of citrus picking sounds so fun! I am so jealous of you! those sandals are so pretty! I HAVE definitely been watching the bachelor...I think he will choose Whitney--cause she is the safe bet, but I LOVE becca!! I love that style! I only have one Jack Rogers pair and need to add to the collection! I’ve heard of people that love poshmark! I’ve been thinking of using that myself! I love both of the final two girls (first time in a while liking both the final) and I feel like Chris loves Whitney but I would love for her to be bachelorette too! Love those sandals...maybe I've been living under a rock, but I haven't heard of them!!!!! They are adorable. I'm with you...I really like Whitney and Becca. This has been the first time in a long time that I liked both the final two. And yes to the puppy! My biggest problem is laying back down after I get a shower because they just look so cozy! I'm a huge bachelor fan but I don't know...I just don't see him picking either of them! I definitely hope he picks Whitney though! Love those Jack Rodgers! i never knew citrius was big in AZ either . Ah, this is the most wonderful collection of five things. Lisa, I'm totally with you on the Jack Rogers. It's not quite warm enough yet, but I've been dreaming of wearing mine and definitely wanting some new colors this year. You know I'm a Bachelor fan. I like both girls, and the drama that all the girls provided this season. But I think Whitney is the one who's ready for Chris' lifestyle and to be married. I think she could live in that teeny little town, and be totally happy just being a housewife...Becca I'm not so sure. But I do like Becca, so that'd be okay with me too. I can't decided who I want to be Bachelorette, but Whitney would definitely be a good one; I also like Kaitlyn for it. I wish Jade could be, but there's no way they'll have her with her pictures out there. 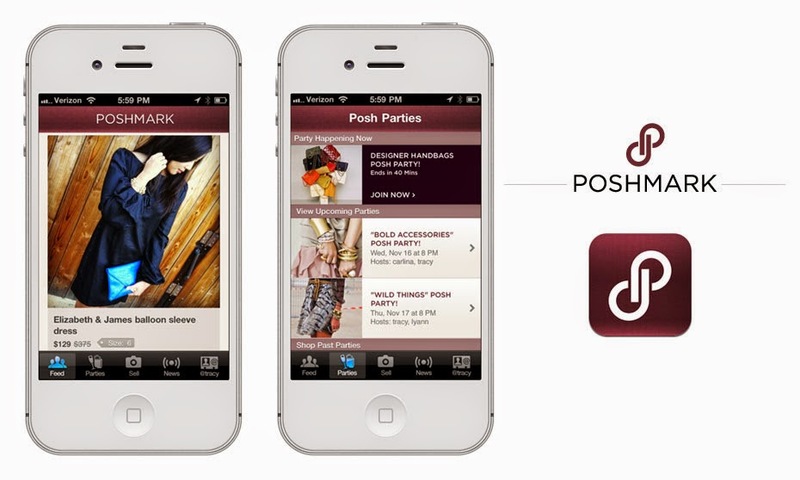 Oh, and I've never heard of Poshmark but I'm totally intrigued about it. I'll have to look for into it. Thanks for introducing me! I have not heard of Poshmark before! I will have to look into that! I will have a bunch of stuff to sell when I (hopefully) clean out my closet this weekend. Those shoes are amazing! I need some! I have liked Whitney from the beginning... I worry about Becca - I think she's not ready for a relationship that moves that fast. Also, ditto on the pedicure. Womp. gahh I'm so jealous of your warm weather. it was -10 in South Dakota today. My grandparents just brought back grapefruit from their winter trip to Arizona. It is SO good. I had no idea citrus was so abundant there! And yes the citrus is amazing. My brother in laws parents are in Scottsdale and they have oranges and lemon trees in their backyard and it's unreal how much they produce. Abigail picked a lemon on her way back from the park at my parents and she thought it was the greatest thing ever. Haha. Loving those sandals. Now I now where to look for these. Enjoy the warmer weather, it's nice and sunny here in CA as well; can never get enough of the sun. i love the bachelor but i was rooting for kaitlyn! Those sandals are IT for summer! They are so cute, I am definitely adding those to my wishlist. 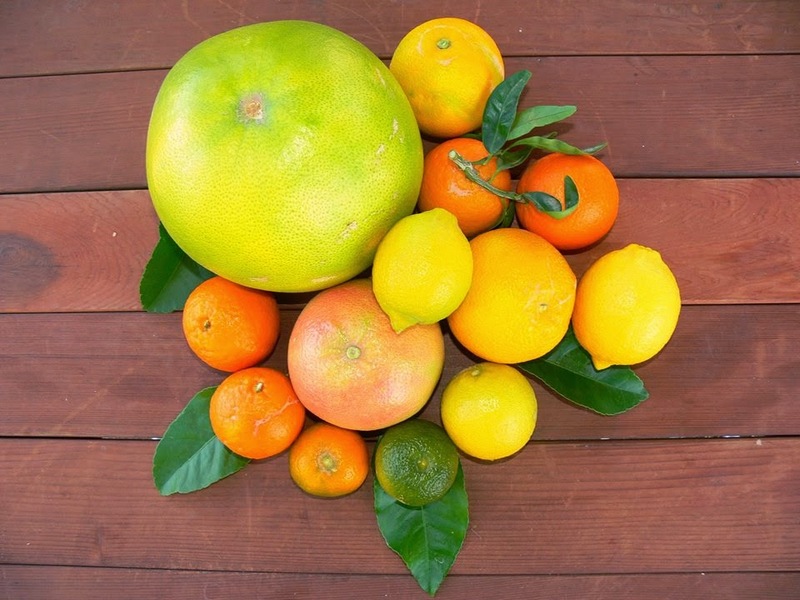 Love the idea of pick-your-own citrus! I was definitely a Whitney fan and I'm glad he picked her! Becca just didn't seem to be on the same level! 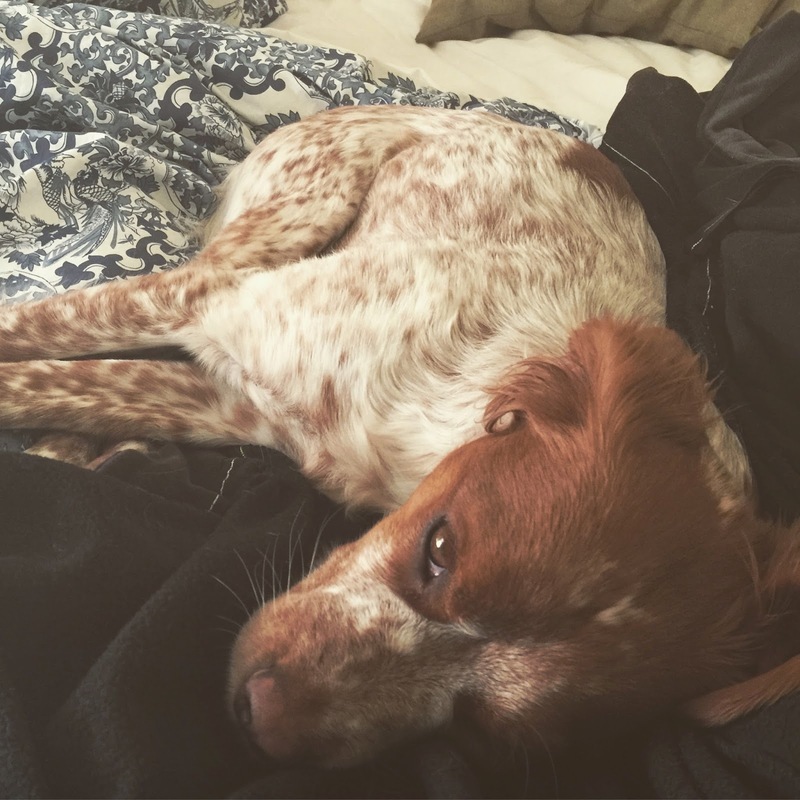 :) Love the pics of Scout! Too cute!